Global health organizations have devoted considerable resources into unsuccessful handwashing education campaigns in the developing world. Even when told of the life-saving importance of proper hand hygiene and provided with free supplies, people continue to avoid handwashing, or wash without using soap. For facility cleaning professionals at schools and other heavily populated or public buildings, knowing what handwashing tools to offer and where can be crucial to keeping infections at bay. Reshmaan Hussam, an assistant professor and his colleagues at Harvard Business School decided to see why most handwashing initiatives don’t work, according to an article on the Working Knowledge website. When Hussam conducted an initial survey of several thousand rural households in India, she discovered that people don’t wash their hands with soap simply because they’re not in the habit. So the researchers designed a field study to understand whether handwashing with soap was indeed a habit-forming behavior, whether people recognized it as such, whether it was possible to induce the habit with experimental interventions, and whether the habit would continue after the interventions ceased, the article said. 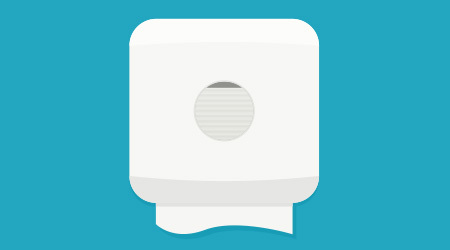 The researchers designed a wall-mounted soap dispenser with a time-stamped sensor hidden inside. The sensor allowed the team to determine not only how often people were washing their hands, but also whether they were doing so before dinnertime, critical to an effective intervention. The researchers randomly divided those in the experiment into “monitoring” and “incentive” groups. Among the households that received a soap dispenser, one group was told their handwashing would be tracked immediately. Another group was told their behavior would be tracked in a few months, enabling a test of whether people would start washing their hands now if they knew that the “value” of handwashing would increase in the future. And another group was not told that soap use would be tracked. The incentive experiment tested whether financial incentives could increase handwashing rates, and whether those households would keep using soap even after the incentives stopped. The results showed that both monitoring and incentives led to substantial increases in handwashing with soap. Importantly, the effects continued even after the households stopped receiving incentives and monitoring reports, suggesting that handwashing with soap was indeed a developable habit.